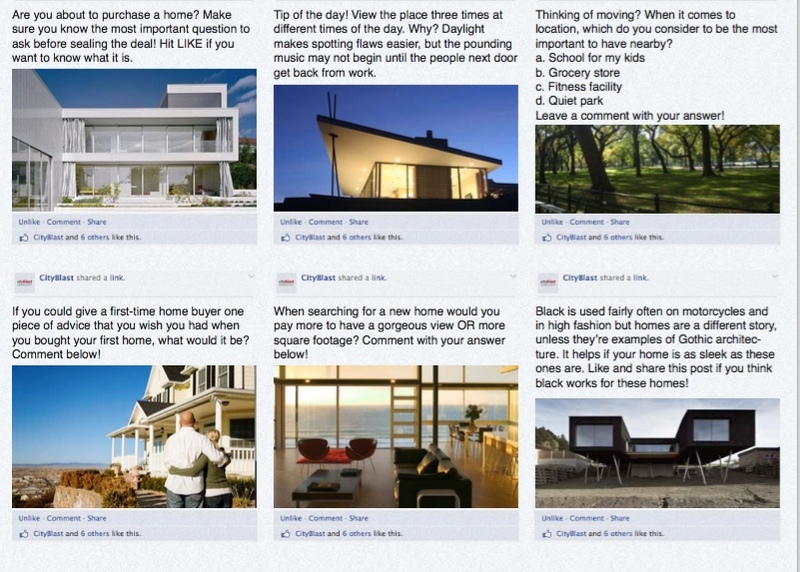 We compiled a library of the 100 Best Real Estate Posts on Facebook. The posts are all tried and tested and proven to generate engagement with prospects that converts into new real estate business. Social media marketing has changed dramatically since the Wild West days up to 2010 when it was easy to connect with new clients and quality real estate content was shared easily throughout each social network. Since then the networks have sharply reduced organic reach and make it much more difficult to generate free traffic and free leads. The good news is that there is now a simple and proven formula that you need to follow to generate new leads and clients. It’s not cool and fun like it was in 2010, but it is simple and it works. Download the 100 Best Real Estate Posts on Facebook and join us for the 2016 Update of the Social Media for Real Estate webinar on Thursday July 21st at 12 Noon Eastern.